The ReconCell workcell is able to autonomously pick parts from a tray or conveyor belt, place them into reconfigurable fixtures which adapt to the particular geometry of the workpiece and hold them in a precise position during the assembly process. The passive reconfigurable fixtures in hexapod design enable flexibility in production and adjust the next batch for assembling within seconds. Additionally, a vision system for pose estimation and calibration enables the robot to pick and place unknown items with the UR10 arms. In case of new orders, a 3D simulation creates a Digital Twin of the cell setup to minimize downtime and avoid assembly process failures in the work cell. In addition, another vision system ensures quality control checks during the assembly process. This enables a pre-selection of damaged items and prevents incorrect assembly and damaged end products. In the ReconCell webshop you can find the components for the ReconCell workcell and the related services that the partners have developed in the project. The ReconCell workcell as a product is being commercialized after the end of the project. If you are interested in becoming an early adopter of the technologies in the webshop, please contact the lead component / service person mentioned below. 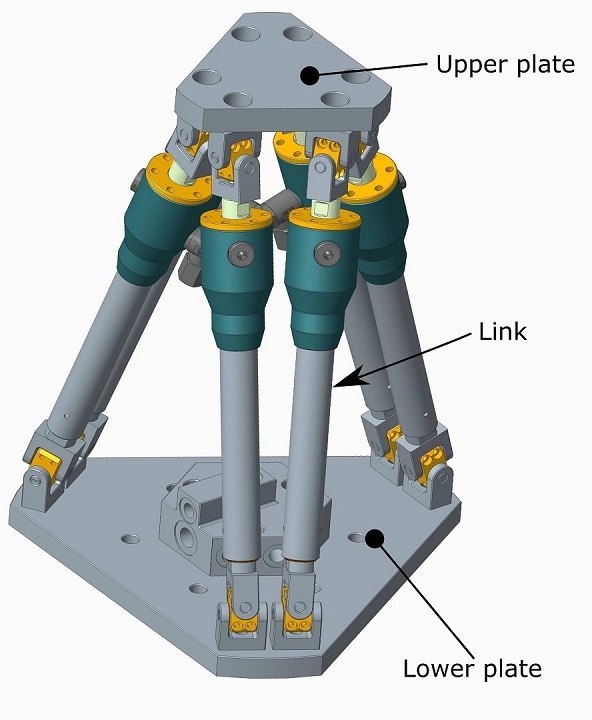 Reconfigurable Hexapods are flexible fixture systems in hexapod design, used to increase flexibility for assembly processes in robotic work cells. The flexible fixture system can be adapted to a particular geometry of different work pieces within seconds. Specific features can be added or removed from the work cell according to the current task requirements. In this way, high flexibility of production can be achieved. 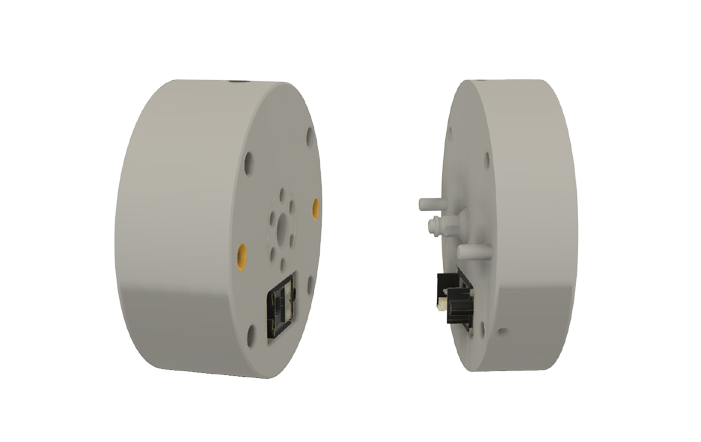 The BoxJoint system enables reconfiguration and adaptation in a robotic work cell. 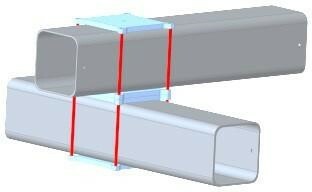 The beams in the steel frame are connected by the BoxJoint system to create flexibility in height and width of the frame. The system ensures a simple and safe solution to provide a self-adoptable and reconfigurable frame in the robotic work cell. 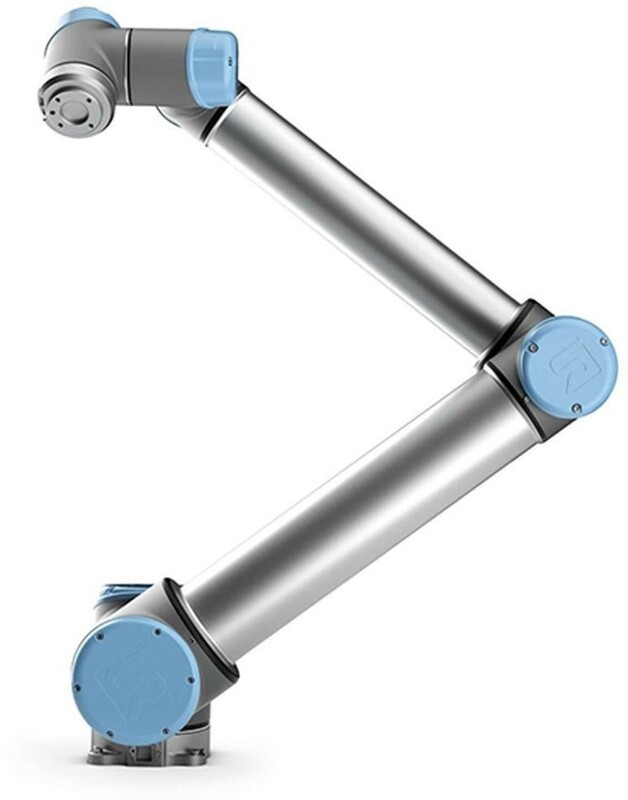 The Universal Robots UR10 is a robot arm, designed for tasks where precision and reliability are still of paramount importance. With the industrial robot arm, processes can be automated in ReconCell. Collaborative processes such as packaging, palletizing, assembly and pick and place are all well suited to the UR10 industrial robot. With a reach radius of up to 1300mm, the UR10 industrial robot is designed to be effective at tasks across the larger area in ReconCell. The Tool exchange system enables flexible multi-tool applications by using a single robot arm. End effector tools and modular fixtures can be automat- ically changed, quickly and easily, to accommodate many different styles of parts. The special locking mechanism in the tool system facilitates high load capacity and rigidity. Thus, by using the tool exchange system, a flexible assembly process with adaptation time can be ensured. The Plug-and-Produce modules offers a practical solution to the issues of flexibility, as well as higher resource and energy efficiencies. The foundation of the Plug and Produce system is a Plug and Produce (P&P) connector, which standardizes how a group of modules is connected. It is “plug and play” product, and as its name suggests, it can simply be connected and turned on – and then it works. 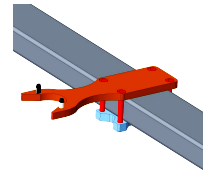 The end-effector hanger module provides a secure storage system for end-effectors with the possibility to be mounted to an arbitrary position in the work cell. 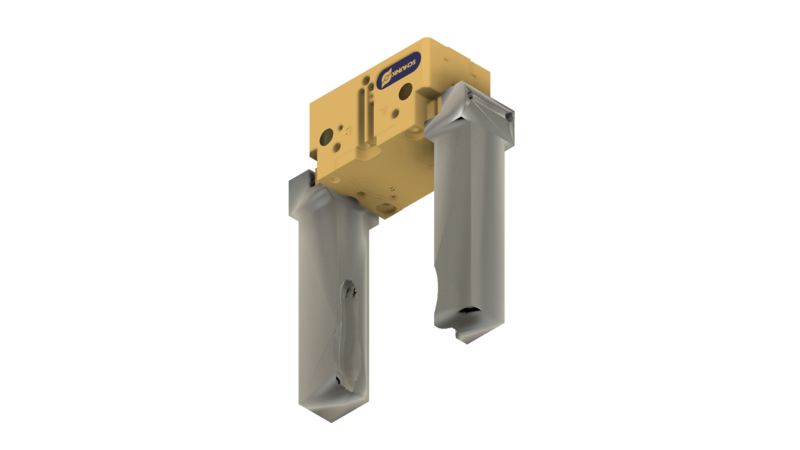 With the end-effector hanger module enables quickly and efficiently change between tool units. Several tools can be used in the assembly process with ReconCell. Depending on the requirements in the process, tools and grippers are ordered and bolt to a tool exchange module and stored, when disuse, on the hanger module. The industrial gripper fingers can additionally be customized to accurately pick, hold and fix even small items during the assembly process by our gripper finger design service. 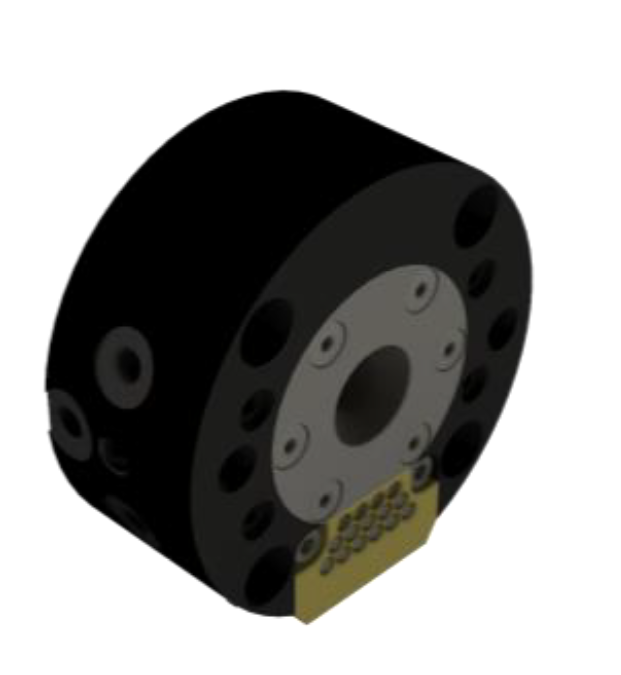 The service package provides the development of customized gripper fingers in order to maximize the individual tolerances in the assembly process. Further explanation can be found in the handbook under Optional Services 4.5. ReconCell is compatible with most of the standard industrial tools and grippers, depending on the selected robot arm. Compatible with a wide range of tools and grippers. Compatible with 3D printed grippers which can be designed and implemented within the course of ReconCell. A service package includes a technical, as well as a business analysis, to provide the customer a solution tailored to his needs, regarding business objectives and success factors in the assembly process. Based on initial contact with a customer, information about their current assembly process is collected and the customer problem is defined. Based on the collected information, including individual requirements, such as space limitations, cycle time, process sequences, a proper business case is created, and the initial validity of the project is evaluated. By a detailed documentation of the customer’s current assembly process, an automated assembly process in the work cell can be easily derived. Sequences of the process, as well as requirements for software and hardware, can be defined and implemented faster. This also helps a customer to have a clear view on applicability of the solution to their specific case, which will be a basis for investment decisions. In the service package, required components are identified, specifications for each component are determined and details are designed. Single specifications for each component are derived from the previously created concept model. Subsequently, components are externally purchased or internally requested. The solution design of each component ensures an optimized purchase order. Components can be customized regarding the identified requirements in the assembly process. The service package provides quality verification of each component as well as a functionality test regarding the customers use case. Insufficient component quality or software requirements are improved before assembling the work cell. The integration into an assembly process follows, and Digital and Business Twins are set up. Subsequential functionality tests enable the identification of insufficiencies, which prevents interruptions in the production. The pre-integration accelerates the commissioning at the customer’s production site. 1. Simulation service package is offered per case as ready-to-use 3D and physical VEROSIM® models which were set up as a service from ReconCell. 2. Get a license of the VEROSIM® software for further internal use. In both cases, further extensive quality and functionality checks regarding the customer’s use case can be performed. The fully virtual model allows to easily make changes in robotic motion, components, placements and processes. The feasibility of the new workflow can be tested based on the cell’s Digital Twin. Finally, the real cell can be optimized and it can be checked whether the present success factors are still reached. The simulation with VEROSIM® creates a digital twin of the real cell, where all kinds of adaptations can be tested, optimized and validated. This holds true and is necessary for all customizations (robot motions, new components, new processes, reconfiguration) that need to be done after the first setup of the cell. In this service package, based on gathered data from the work cell operation, possible improvements are identified. An extensive quality and functionality check regarding the customer use case is subjected. Hence, the cells component, assembly processes, robotic motion and the dimension of the work cell can be optimized. Optimization can either be purchased as a service from ReconCell, simulated via the VEROSIM® software license, or additional training of the customer can be conducted. The continuous optimization of components, robotic motion and the dimension of the work cell enables the customer to improve its assembly process and to keep up with the pace in the industry. This service package contains the reconfiguration and training of the robotic cell. When a customer decides to use the existing ReconCell for a different assembly process, the work cell will be adjusted to fit the needs of the new required assembly procedures. The UR10 robotic arms are trained to conduct predefined assembly operations, additional tools and grippers will be applied and the software will be adjusted to support the new defined process. The simulation solution, VEROSIM ® software, can be used for an error-free and effective reconfiguration. This service package offers flexibility towards assembly processes. The ReconCell can be reconfigured to conduce a new requested assembly process within 42 working hours. This optimize robot investment and saves expenditures for personal training.